The buttery, delicate flavor of the cutlass fish truly shines in simple dishes, without the need for heavy sauces or spices. With an abundance of essential amino acids, this eel-like fish helps promote healthy development in children. 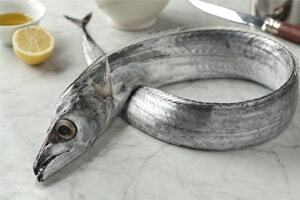 A versatile fish choice, cutlass fish is great roasted, salted, pan-fried, pickled or baked.